Common Name(s): All species are commonly known as "kiwis". 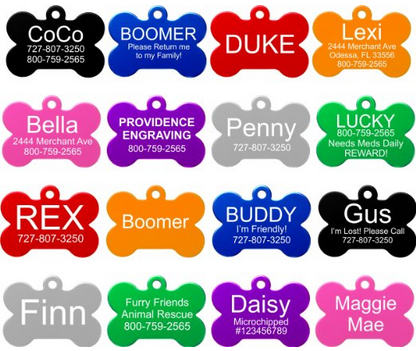 However, each species has a common name(s) of its own. The kiwi is a flightless genus of birds endemic to New Zealand. They belong to the Apterygidae family and have about the same size as domestic chickens do. 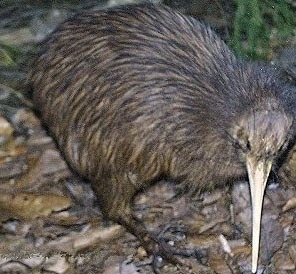 All kiwi species (except A.owenii) are endangered or threatened. First we have the large Apteryx haastii. The species is commonly known as Roroa, Great Spotted Kiwi and Great Gray Kiwi. It is the biggest kiwi species, having an average height of 45 cm (18 in.) for males, 50 cm (20 in.) for females and an average weight of about 3.3 kg (7.3 pounds). It comes with a grayish-brownish plumage with lighter bands. There are currently less than 16.000 individuals remaining, distributed mostly through the mountainous areas of northwest Nelson, the northern West Coast, and the Southern Alps. Females lay one egg, which is incubated by both parents. Second is the small Apteryx owenii, commonly known as the Little Spotted Kiwi or Little Gray Kiwi. This is the smallest kiwi species. It has an average height of 25 cm (10 inches). Males weight 0.9 to 1.3 kg and females weight 1 to 1.9 kg (2.2–4.2 lbs).They are docile animals that have disappeared from the mainland due to predation by introduced pigs, stoats, cats and other animals. Currently, only about 1500 individuals survive in the Kapiti island. In an effort to revive the species, it has been introduced to various other islands with no natural predators. This effort shows promising results as their numbers have been increasing. Females lay one egg which is incubated solely by the father. Third comes Apteryx rowi. 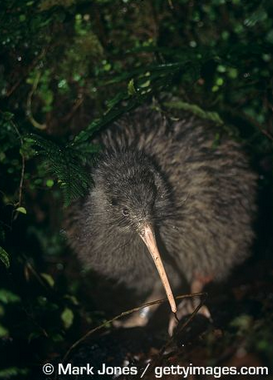 The species is commonly known as the Okarito Kiwi, Rowi and Okarito Brown Kiwi. It is a newly identified species (2003), with a grey tinge to the plumage, with individuals occasionally having white facial feathers. As of this moment, only about 300 birds survive, distributed over a small region on the west coast of the South Island of New Zealand. Females lay one to three eggs, incubated by both parents. 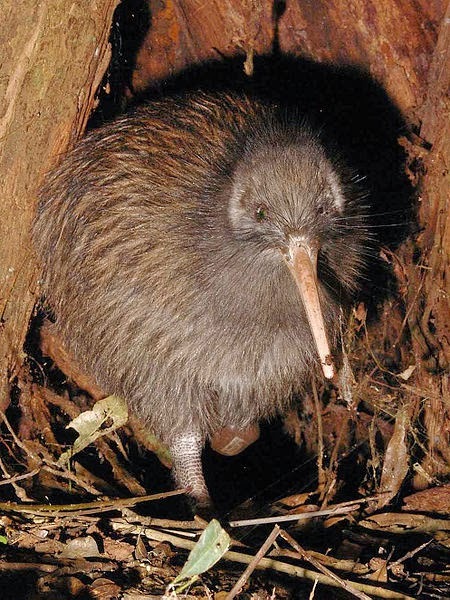 There have been records of certain Okarito kiwis that are over 100 years old! The South Island Brown Kiwi (A. a. australis), with an estimated population of about 7,000 birds found on the South Island of New Zealand. 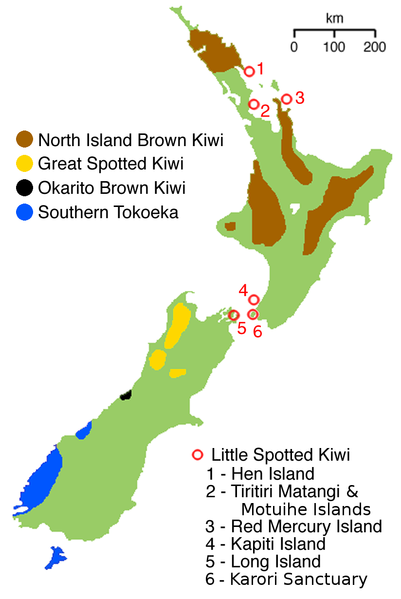 There is also a small, disjunct population, near Haast, called the Haast Brown Kiwi (not to be confused with A. haastii), with about 250 individuals left. The subspecies is characterized by its rufous plumage. Stewart Island Brown Kiwi (A. a. lawryi) is very common (20,000 birds) throughout its range, with about 17 birds per square milometer. Its feathers are streaked lengthwise with a tint of reddish-brown. Finally, we have Apteryx mantelli, commonly known as the North Island Brown Kiwi. It is the most known and widespread species. It resides in the two-thirds of the North Island and there are about 35,000 living individuals. Females have an average height of 40 cm (16 inches) and an average weight of 2.8 kilos (6.2 pounds), while males usually weigh about 2.2 kilos (5 pounds). The species typically comes with a streaky red-brown and spiky plumage. It has proven to be the most resilient kiwi species of all, managing to adapt and thrive in a wide variety of habitats, even in non native forests as well as some farmlands. 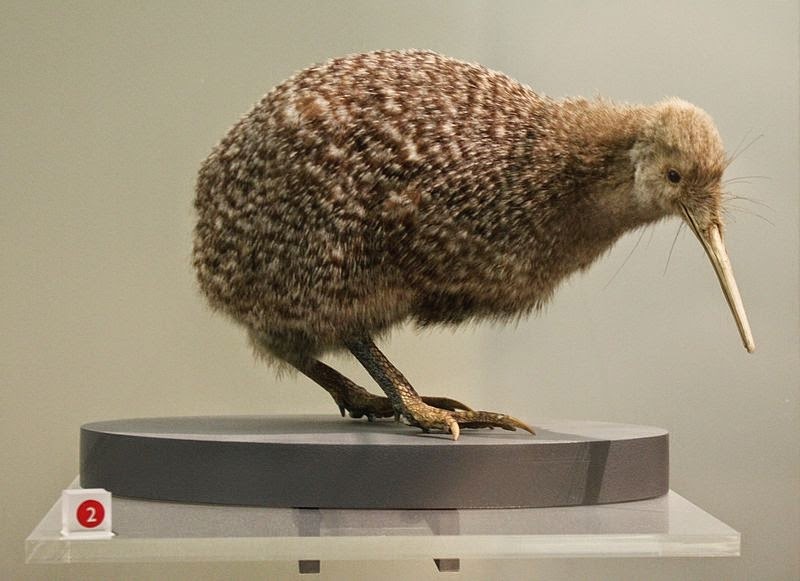 Like the majority of ratites, kiwis have no keel on the breastbone to anchor their wing muscles, while their wings are barely noticeable. Although most birds have hollow bones to be lighter (and to fly easier), kiwis have bone marrow, like mammals and young birds do. Kiwis have long, pliable and sensitive to the touch bills. They have no tail, only a small pygostyle. Their feathers lack barbules and they have 13 "flight" feathers in total. Similarly to most flightless birds, they also have no uropygial gland. Their caecum (a pouch, connecting the ileum with the ascending colon) is long and narrow, while their gizzard (organ found in the digestive tract) is weak. The sense of smell is overdeveloped, an unusual trait for birds. Furthermore, there are the only known species of bird that have nostrils at the end of their beaks. Their sense of smell is so strong that they can actually locate underground prey (like worms and insects) without seeing or feeling it. Kiwis are also the only known birds having a functioning pair of ovaries, instead of just one. 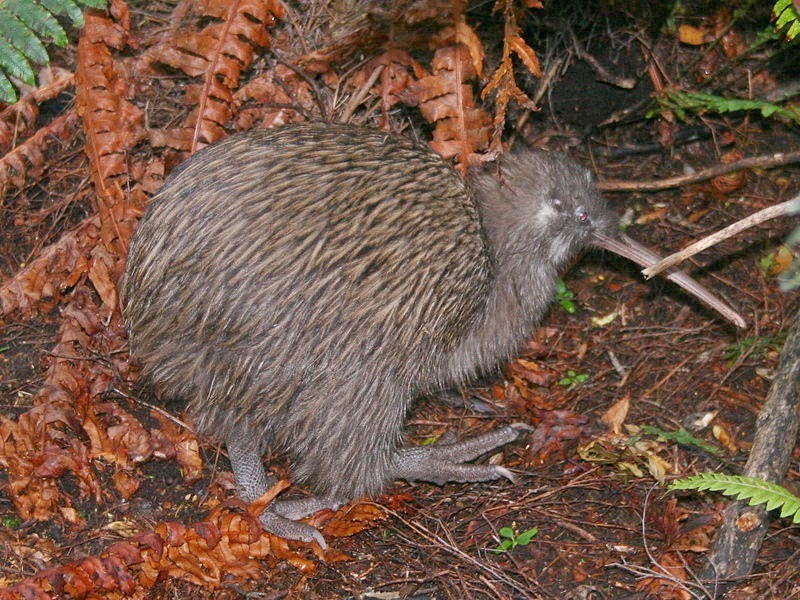 Kiwis are shy and nocturnal animals. It is believed that their nocturnal habits are the results of the intrusion of various predators (humans included) that weren't present in their habitat during the past. This belief is further enhanced by the fact that in areas where predators where later removed, the residing kiwis started to appear more often during daylight time. 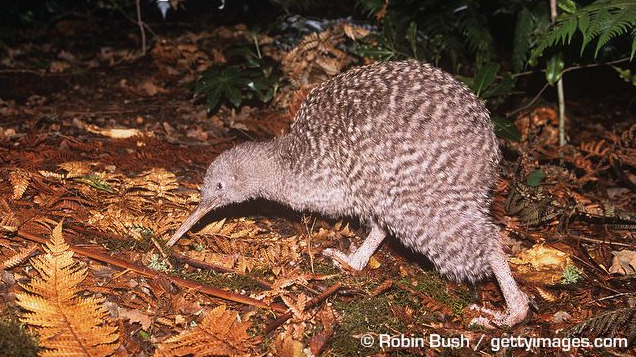 Kiwis generally prefer subtropical and temperate podocarp and beech forests, but they are forced to adapt to different kinds of habitats, like sub-alpine scrub, tussock grassland, and mountainous areas. Kiwis are monogamous animals which after bonding spend their entire lives as couples. Mating usually occurs from June to March. During this period, the pair calls to each other at night, meeting in the nesting burrow once every three days. Their relationships are reported to last a period of at least 20 years. The eggs produced are very large compared to their size. To have a visual idea, they are about 6 times bigger than the ones produced by chickens, while chickens and kiwis are more or less equally sized. These eggs have a smooth texture and are greenish white or ivory colored. They are incubated for 63 to 93 days, depending on the species. Giving birth to eggs of such immense size results in high energy demands for the mothers. During the thirty day-period that the egg(s) develops inside a female, she eats at least three times more food than normal. It has been estimated that Stoats are to be blamed for about half of kiwi chick deaths in most New Zealand areas, while cats also prey and eat chicks, although on a lesser degree. The combined “efforts” of these two predators result in only 10% of kiwi chicks reaching the age of six months! Kiwis must first reach a weight of about 1 to 1.2 kg (2.2-2.6 pounds) before they are able to somehow defend themselves against these predators. However, not even adult individuals stand a chance against ferrets and dogs. These two animals easily kill adults and are many times responsible for extensive and abrupt declines of kiwi populations. For some unknown reason, most dogs find the scent emitted by kiwis irresistible, tracking it and then killing the animal behind it. Many kiwis also die trying to cross roads. Finally, badly set possum traps account for many accidental kills each and every year. Habitat modification/destruction is the icing of the cake. As a result of all the aforementioned threats, only about 5 % of kiwis manage to reach adulthood in the unprotected and un-managed regions. Fortunately, protected areas have been established with very positive results. In the past decade, there have been many successful efforts that have managed in many cases to stabilize or even increase kiwi populations.For instance, adult kiwis at Tongariro have almost doubled since 1998. One notable example is Operation Nest Egg, which is a programme run by the BNZ Save the Kiwi Trust, a partnership between the Bank of New Zealand, the Department of Conservation and the Royal Forest and Bird Protection Society. 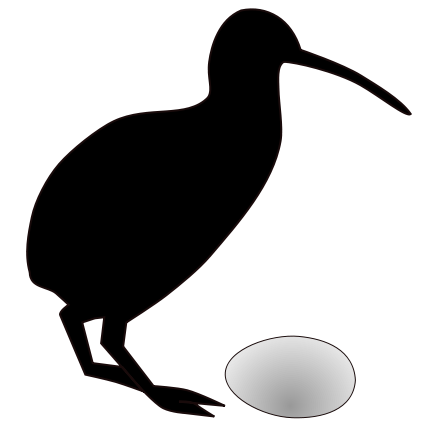 This program involves the removal of Kiwi eggs and chicks from their nests. The eggs (or chicks) are raised in captivity until they are big enough to defend themselves from most predators, like cats and stoats. A kiwi raised by the "Operation Nest Egg" has a 65% chance to reach adulthood, compared to a measly 5% for birds raised in the wild. Please bear in mind that these data may be outdated and thus incorrect. - Apteryx mantelli holds the record among all birds for producing the largest eggs in comparison to its size. There have been reports of North Island Brown kiwis laying eggs of up to 450 g, which is quite amazing taking into consideration that their maximum weight is only 2.8 kg. - The "Kiwi" name comes from the Polynesian name for the Bristled-thighed Curlew, the Kivi. Both birds look similar and feed in the same way, by poking their long beaks into the soft ground. - The kiwi is the most well-known national symbol for New Zealand, with the bird making its appearance in the coat of arms, crests and badges of many New Zealand cities, clubs organisations etc. Finally, I want to close this article on kiwis, by adding one of my favorite youtube videos. It's a short, very touching animation named... "Kiwi!". Try not to cry! - Brands, Sheila (14 August 2008). "Systema Naturae 2000 / Classification, Family Apterygidae". Project: The Taxonomicon. Retrieved 4 February 2009. - Davies, S.J.J.F. (2003). "8 Birds I Tinamous and Ratites to Hoatzins". In Hutchins, Michael. Grzimek's Animal Life Encyclopedia (2 ed.). Farmington Hills, MI: Gale Group. pp. 89–90. ISBN 0-7876-5784-0. I thought a kiwii was a fruit.